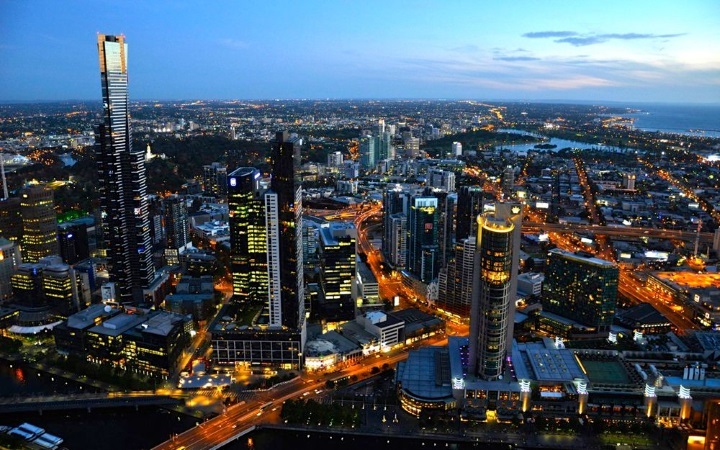 Melbourne, Victoria, is the capital and city with the largest population in the state. Melbourne is an urban area within Port Phillip Bay. There are lots of good reasons to move business to Melbourne, Australia. Melbourne has good access to world markets, has a relatively low cost for doing business, has a good-sized local marketplace, has excellent governance and legal frameworks, and is also perfectly placed as a global city to provide services for both Asian and US markets. In this article we'll go through some of the things you need to know about moving to Melbourne in 2019. One of the first things to note is that property prices in Melbourne are dropping at the moment. Statistics released on Monday by CoreLogic showed prices of homes in the Victorian capital down 8% in March. This signals a 10% drop from peak prices, the worst decline in some years. Depending on your outlook this could either signal that an opportunity for purchasing property at a lower price, or that there may still be some downward movement in the market. This will affect whether you buy your rent property both for your business and for your residential living. It seems that the property slide is starting to ease off and there may be some growth from 2020 onwards. If you are thinking of a long-term investment horizon for buying property then now may be a reasonable time to start looking at purchasing with prices at a relatively low point. if you’re planning a move to Melbourne, then we are happy to tell you there are lots of positives about the 4th Victoria state capital. Melbourne has great housing, superb weather, beaches to enjoy. Add these to a great weather, lots of jobs and great food, a clean environment and great people, and a thriving arts and culture scene. What’s more? Amazing travel opportunities, excellent shopping and interesting wildlife, strong public transport, and stunning countryside and coastlines. Melbourne is a family-friendly city and a great place to live and do business. The educational level is high, and so there is plenty of opportunity to find talented staff to help you drive towards your business vision. With Australia well-positioned for both Asian and US markets, the city tends to be somewhat protected from regional recessions. If there is a global downturn, there is also a strong population base of around 4.9 million Melburnians to provide products and services and cushion any negative effects. Melbourne benefits from the Melbourne airport (Tullamarine Airport), and also Australia's most active seaport in the Port of Melbourne. There are always challenges when moving to a new city to do business, when you are moving to Melbourne from New Zealand, or from another part of Australia, or from further afield. However, the port and excellent infrastructure links make moving personal property and business assets more viable than in many less well-connected cities in Australia. If moving from New Zealand to Australia the Visa requirements are very simple, and you don't need a formal Visa before arrival. At border control you will receive a special category Visa. You probably won't even know that this happens as it is all done electronically based on your New Zealand passport. There are some limitations on this Visa status, but these really just relate to activities you would expect to be the rights of Australian citizens, such as voting elections, access to some welfare and social benefits, and getting student loans. If you want to gain access to a permanent resident Visa there are several parts to doing so, so read up on the requirements. Australia is tending to tighten up on immigration regulations, so make sure you read the most up-to-date information as you begin your journey to live and work in Melbourne.